Variety & Louis XIII Cognac Host Private Dinner in Celebration Of 2019 Grammy-Nominated Singer/Songwriter 6LACK | RESPECT. Variety Magazine and Louis XIII Cognac teamed up with Interscope Recordsto host an intimate dinner for 2019 Grammy-nominated singer/songwriter 6LACK in celebration of his “Best Rap/Sung Performance” for “Pretty Little Fears” [ft. J Cole]. The event was held at the Chateau Marmont in Los Angeles where 6LACK was joined by LVRN and his singer girlfriend Quinn. 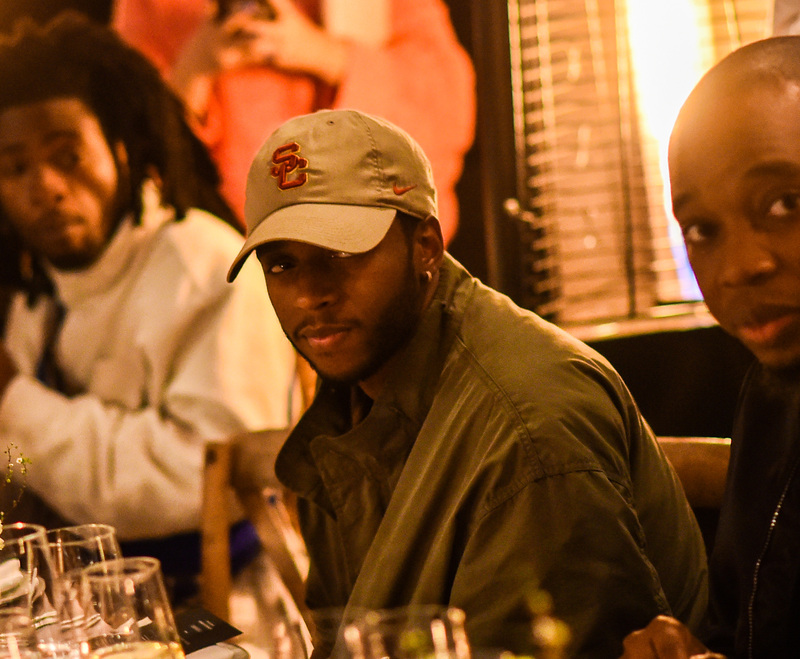 The night consisted of cocktails and a sit down dinner to celebrate 6LACK’s achievements from his critically acclaimed East Atlanta Love Letter album. Other notable attendees included pop singer Georgi Jacobs, actress Alicia Bellamy, and LVRN rapper Boogie. About 6LACK: Pronounced “black”, alternative R&B artist 6LACK has long considered six an important number that is central to his identity. Raised in Atlanta’s Zone 6 (hence 6LACK), the musician attributes his hometown as a major influence on his stage name as well as the spiritual significance of the number six. Known for his emotional ballads on heartbreak, relationships and love, 6LACK’s music is often classified as “moody hip hop”. The singer frequently states that his music’s main focus is relatability and draws on own personal relationships to universalize his sound and lyrical content. These experiences range from dealing with homelessness to an underhanded record deal that kept the musician under an unhelpful and binding contract for several years; this deal made the musician feel akin to a product or song, rather than an artist. Once 6LACK was out of the record deal, he joined management and creative collective LVRN, signed a new deal with Interscope, and freed himself from creative limitations and restrictions.